Upcoming BlackBerry 9800 to be a Rogers exclusive? Rumour: BlackBerry 9800 to be a Rogers exclusive in Canada? There’s been a tremendous amount of leaks when it comes to the upcoming BlackBerry 9800 Slider. Quick specs are that it comes with their new OS called BlackBerry 6, a 3.2-inch touchscreen display (resolution of 360 x 480), full QWERTY keyboard, optical trackpad, 5 megapixel camera, 3G connectivity, WLAN, A-GPS Bluetooth, 3.5 mm headset jack, 4GB of internal memory and can hold up to 16GB with a microSD card. Rogers and RIM have launched several exclusive devices in the past and their relationship goes back to when RIM was just starting out. 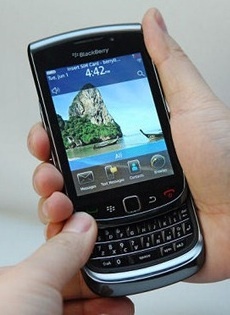 They were the first to launch the Bold 9000 and if this rumour pans out they would not only be the first to release the 9800 but a device that operates on their new BlackBerry 6 OS. You can check out the videos of the 9800 slider here. UPDATE: After posting this we got several tips that this is in Bell and TELUS inventory.